Two of my teens tend to purchase (or ask me to purchase) products and apparel that are sports branded, with Adidas being one of them. I'm sure it's because they're into sports and want to portray that persona. 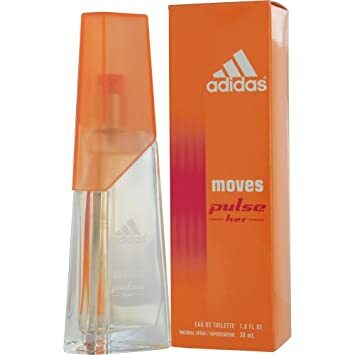 Adidas Moves Pulse for Him and Adidas Moves Pulse for Her are perfect scents for Logan and Juliann because they smell good, come from a brand that's well liked, and are affordable. 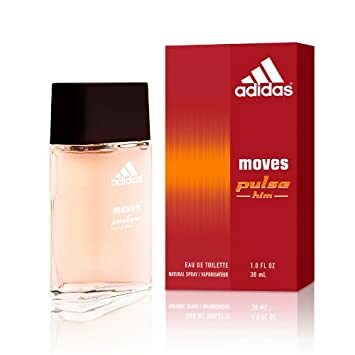 Adidas Moves Pulse for Him is a scent most suitable as a daytime fragrance. It has a combination of woodsy and fruity smells. Although there are notes of pineapple and lavender that are more associated with a fragrance for women, they aren't overly noticeable. It has a "sporty guy" smell. Adidas Moves Pulse for Her includes notes of watermelon, grenadine, orange, water lily, sugar, musk, cedar and amber. It makes for a nice balance of fruity and floral. This fragrance is also most suitable for daytime wear. A brand label is neither here nor there for me and my kids aren't label snobs but I think they are persuaded an inkling by the fact that adidas is touted on the packaging and bottles. With these particular fragrances, I don't mind because they smell good and I can purchase them without breaking the bank. Both adidas Moves Pulse fragrances are available at drugstores nationwide.